South Africa’s most ecologically diverse province, KwaZulu-Natal is flanked by two vast and very different but equally important and alluring UNESCO World Heritage Sites: the lush subtropical Indian Ocean coastline protected within iSimangaliso Wetland Park and the lofty 3,000-plus metre peaks of the hiker-friendly uKhahlamba-Drakensberg. Other attractions include the seaside city of Durban, the countless smaller beach resorts that flank it on either side, the top-notch Big Five game-viewing offered at the likes of Hluhluwe-Imfolozi and Phinda Game Reserves, and a wealth of historical and cultural sites associated with the Zulu nation for which the province is named. 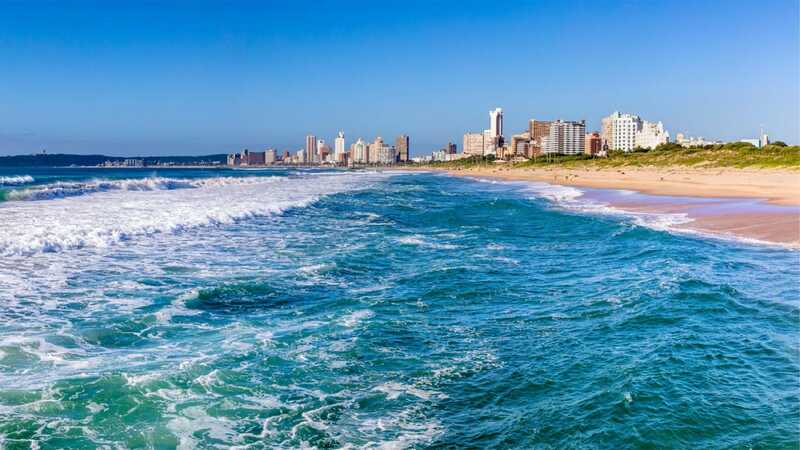 South Africa’s third largest city, the vibrant port of Durban stands at the hub of a 200 km stretch of Indian Ocean coastline endowed with an endless succession of perfect beaches. A magnet for hikers and ramblers, the uKhahlamba-Drakensberg Park is a UNESCO World Heritage Site remarkable not only for its scenic beauty, but also for its botanical diversity, wealth of endemic birds, and prehistoric rock art dating back up to 3,000 years. KwaZulu-Natal’s most important Big Five destination, the 960 km2 Hluhluwe-Imfolozi Game Reserve was first accorded official protection in 1895, and formerly served as the royal hunting ground of King Shaka Zulu. The reserve has played a crucial role in the conservation of both African rhino species, and it now protects the world’s densest population of these endangered creatures. Other prominent residents include elephant, buffalo, giraffe, zebra, impala, nyala, greater kudu, warthog and to a lesser extent lion and leopard. From mid-March to mid-December, four-night wilderness trails lead through a 300 km2 area closed to vehicular traffic. Another UNESCO World Heritage Site, the coastal iSimangaliso Wetland Park incorporates five separate Ramsar Wetlands and a checklist of more than 2,000 vertebrate species, more than any other African conservation area. 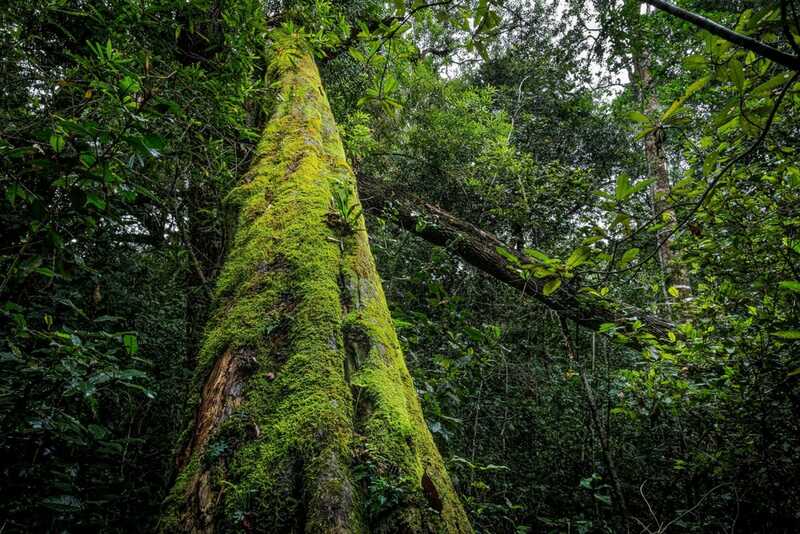 The Dhlinza Forest Reserve, bordering the small town of Eshowe, protects the country’s most accessible patch of mistbelt forest. Home to the diminutive Blue duiker and an interesting selection of forest birds, it is traversed by a 125 m aerial boardwalk that terminates at a tall tower offering grandstand views to the Indian Ocean. Sleepy Howick overlooks the spectacular 95m-high Howick Falls and offers access to the Karkloof Nature Reserve, which protects the country’s largest remaining stand of mist-belt forest. It is also the focal point of the Midlands Meander, which comprises a few dozen loosely-affiliated cottage industries ranging art and pottery studios to craft workshops and cheese producers. An imaginative sculpture comprising 50 steel columns marks the out-of-town Nelson Mandela Capture Site, the place where its namesake was arrested for anti-apartheid activities in 1962. The showy but exuberant cultural program at Shakaland provides an informative and enjoyable introduction to the culture of the province’s numerically dominant Zulu people. The 250 km2 eMakhosini Heritage Park protects the Zulu ‘Valley of Kings’ and includes such cultural landmarks such as King Shaka’s Grave, the reconstructed residence of King Dingane, and the Hill of Execution where the voortrekker party led by Piet Retief was slaughtered. It is also home to rhinos and other typical Zululand wildlife. The so-called Battlefields Route through the province’s northern interior comprises a number of important sites associated with what was the 19th-century Zulu-Boer and Anglo-Zulu Wars, and Anglo-Boer War of 1899-1902. These include Blood River, Isandlwana, Rorke’s Drift and Spionkop Hill. The inland city of Pietermaritzburg, founded in 1838 as part of a short-lived Boer Republic called Natalia, has been the provincial capital since 1843. Its pedestrian-friendly CBD contains several well-preserved Victorian buildings, among them the redbrick City Hall, the Railway Station, the former Supreme Court (now the Tatham Art Gallery) and the Voortrekker Msunduzi Museum. The main air gateway to KwaZulu-Natal is King Shaka International Airport, which lies 35 km north of the central Durban. It is connected to Johannesburg, Cape Town and many other large centres by several daily flights. An alternative port of entry for the northern part of the province is Richards Bay, which is connected by daily scheduled flights to Johannesburg, and lies about one hour’s drive southwest of iSimangaliso’s St Lucia Village or Hluhluwe-Imfolozi. The usual car rental agencies are available at both airports, and airport shuttles and taxis are available to get you to Durban or elsewhere on the coast. Travelling between Gauteng and Durban by road, the uKhahlamba-Drakensberg Park lies about halfway between the two and makes for an excellent place to break up the journey for a couple of nights. Hotels, B&Bs and backpacker hostels are plentiful in most parts if the province. The provincial conservation authority also operates an extensive network of affordable and comfortable rest camps set in its various reserves.